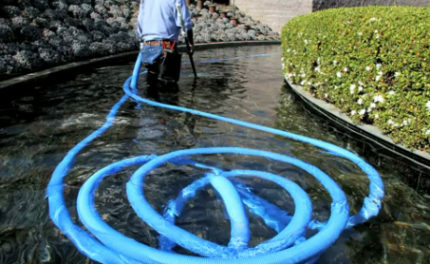 What Can You Do with Kids at the Getty Center? A friend recently asked me for some tips on visiting the Getty with kids, figuring I’d be an expert since I’ve worked here for a few years now. While I see kids and their families in action here all the time, I’d never experienced the Getty Center with them first-hand. So I asked some real experts—my colleagues with young children—and their collective advice was both imaginative and practical. 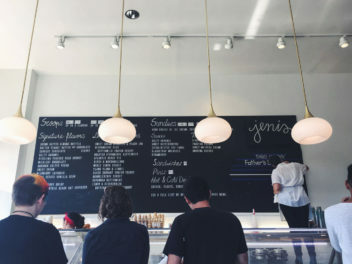 The Art of Food scavenger hunt is fun for all ages. 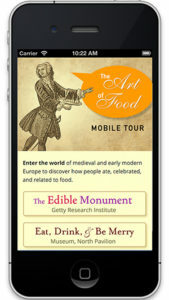 Using just your mobile phone, you can take your family on a merry tour of the two food-themed exhibitions currently open at the Getty Center: Eat, Drink and Be Merry at the Museum North Pavilion; and The Edible Monument at the Getty Research Institute (located near the Getty Restaurant). Even better, there are prizes available for those who complete the tour! Join us for Family Art Stops—half-hour, hands-on art experiences geared for families with children ages 5 and up. Special dates are scheduled for Thanksgiving weekend. I see it every day when I ride the tram with schoolchildren—they love the view of the 405, the houses on the hills, and the tall buildings in Westwood and beyond. And if they look hard enough and have luck on their side, they might even see a deer or two hiding among the trees. Come see the decorative arts galleries in the South Pavilion! Kids love the period rooms, which look like an 18th-century French aristocrat’s, and the galleries filled with fancy furniture, giant clocks, and silk beds. This is a great way to burn off excess energy, as well as a good place to chill out and enjoy some quiet time. Pack a lunch or pick up some sandwiches at the cafe and enjoy a picnic on the green while the kids romp and enjoy the outdoors. Yes, the giant bug! 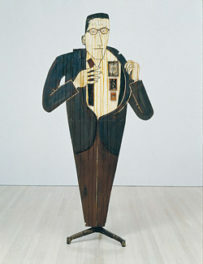 (Also known as Specimen (After Dürer) by John Baldessari.) It’s located right outside the Museum Lecture Hall; ask a friendly volunteer in a blue vest for directions. While the Getty’s galleries make for fun, there’s just as much to explore around the site. Take breaks in between your gallery explorations to enjoy the views and the garden’s zigzag path, or grab a snack at one of our cafes or coffee carts, which all have outdoor seating. 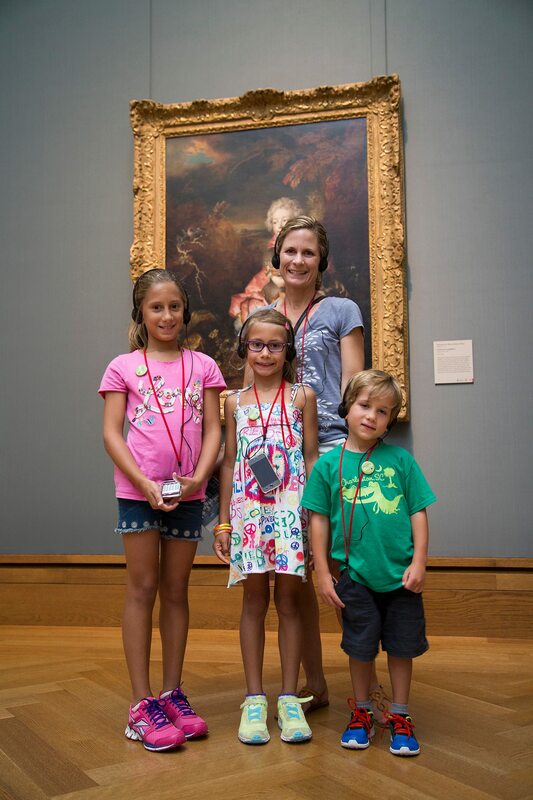 Make the paintings galleries extra entertaining by making your own scavenger hunt. Have kids look for pretty dresses, men in armor, flowers, monsters, etc. Or keep count of all the dogs or cats or horses you can find in all the paintings. Which animal had better PR and appears in more paintings? Celebrate a successful hunt with a cookie in the garden. Here’s a tip: In the Entrance Hall, go up the stairs and start the galleries on the second floor. From there you can go all the way around the four pavilions and see the paintings in chronological order. And of course, stop by the ever-popular Family Room. I’ve since visited it myself with my niece and nephew, and we had a great time. 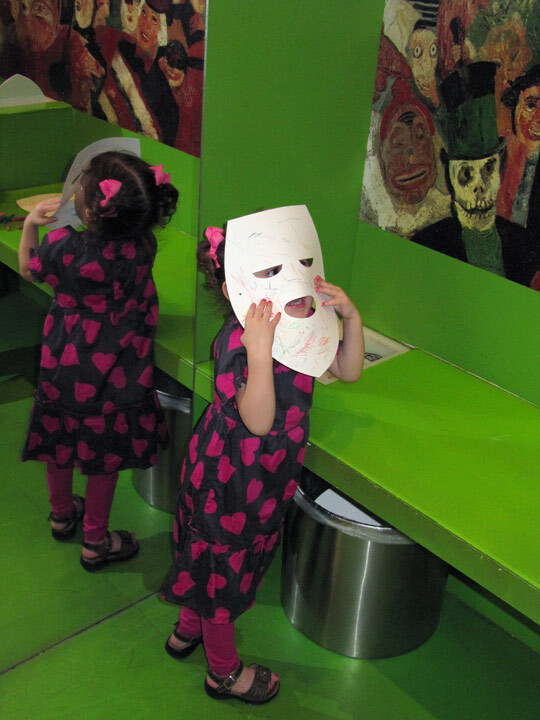 Here they are showing off a hand-decorated mask and playing in the tube sculpture. 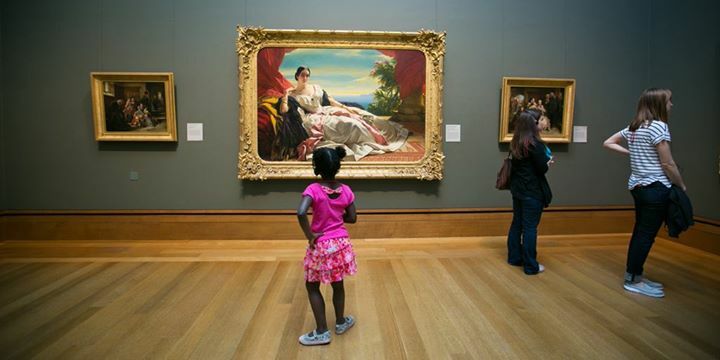 There are tons of other possibilities for entertaining young children here at the Getty Center, including our do-it-yourself Art Detective Cards and our many free programs led by museum educators. One last thing: If you’re coming up here with your kids, make sure there’s plenty of space on your camera phone. You’ll want to relive watching your kids laughing as they run across a lawn high up above the city noise. I've been a web developer with the Getty's web team since 2000. Technical questions or comments about the site's functionality can be directed to me. Priority will be given to those emails that agree the Red Sox are the greatest team in baseball history. Fantastic article. 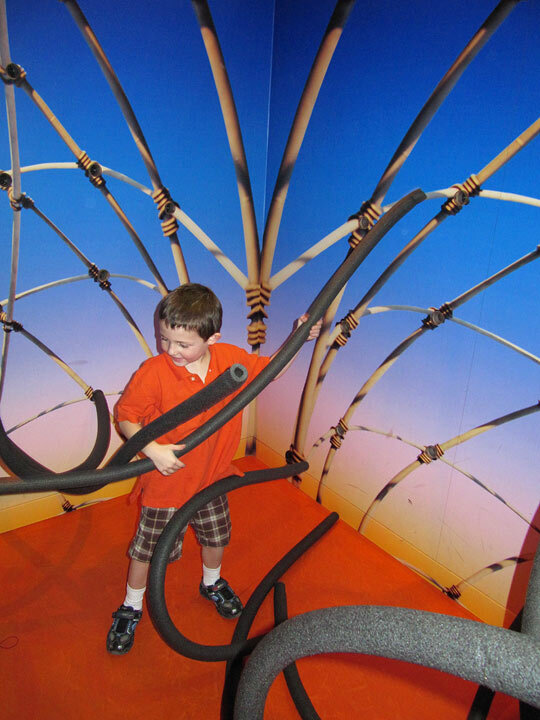 So many think the only kid-fun is in the Family Room but these suggestions are a great way to add to the museum experience. I especially like the link to Exploring Art on the website. Love the ideas! I’d add two more: tell them the stories in the paintings or ask them to tell you a story about the paintings. These can be done simultaneously. My nieces had were Tweens when we visited a museum together. The medieval paintings of saints and mythology came alive for them when I told them that they illustrated stories. It was story time after that when they pretty much ran around the gallery after that saying “what’s the story for this one” I’ve also gotten kids to explain what they think a painting means and gotten some pretty amazing answers! Everyone likes to be listened to and respected, not talked at. They will love it if they get to engage with the art rather than being told what to think!